It’s many booksellers' favourite time of year, a thrilling month of new books read, prizes awarded, and an ever-increasing number of readers coming in to the store. Yes, the countdown to the festive season is upon us, but booksellers, no matter how busy, always have time to read. Here are a few of their recommendations for November. "I just read The Girl Who Was Saturday Night by the author of Lullabies For Little Criminals and I will be immediately re-reading it! Yes, it was that good! Heather astonishes with her grasp of language and her ability to allow her shady characters to soar above adversity and yes, also crash as reality hits them. I gobbled this one down with greedy delight. Nicolas and Nouschka Tremblay are trying to escape the chaos of their lives with Etienne their father, a notorious Quebecois folksinger, and they land themselves in messes of their own making. 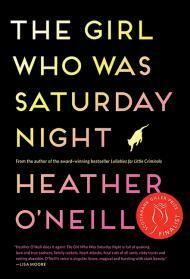 I loved Heather's back story which delightfully gives us a glimpse into the heart of Separatist Quebec. Fans of O'Neill will not be disappointed and I truly hope that her fan base expands with this book." "E.C. Bell shines a light on the spookier side of Edmonton in this enchanting debut. 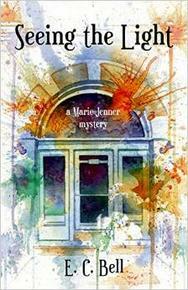 Seeing the Light deftly straddles the line between mystery and fantasy and its down-on-her-luck heroine looks to delight for many future volumes." "Grant Fuhr guides readers through ten of his most important games spanning his twenty-year career in the NHL. 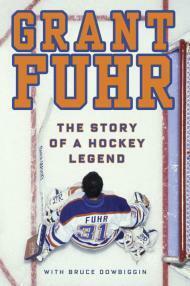 A member of the Hockey Hall of Fame and a key player in the Edmonton Oilers dynasty of the early 80s, Fuhr has written a unique memoir that is a great read for any hockey fan." "William Bell’s new young adult novel introduces us to a teen named Adrian who has grown up in the foster system, never knowing his biological parents. Adrian feels, however, that he would like to be in charge of his own life and write his own story. So, when the opportunity presents itself, he assumes a new identity and begins life on his own terms. It is at this point that Adrian (now Julian) realizes that there are dark undercurrents and unanswered questions in almost everyone’s life. I really liked this novel. 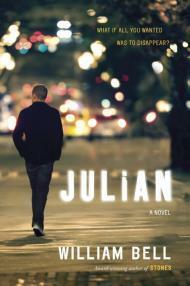 Julian isn’t resentful of his situation and realizes that his foster families have given him acceptance and stability. He is conscientious and empathetic, especially in his budding romance with another troubled teen, Ninon." "What a beautifully written and devastatingly lovely book. 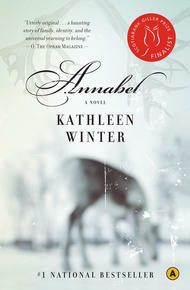 This was a hard one to get through due to the subject matter being so intense but Kathleen Winter is such a gifted writer that it was easy to get lost in the story and characters she created. This is a book that people should and need to read and talk about."